The trade confrontation between the United States and China is heating up. 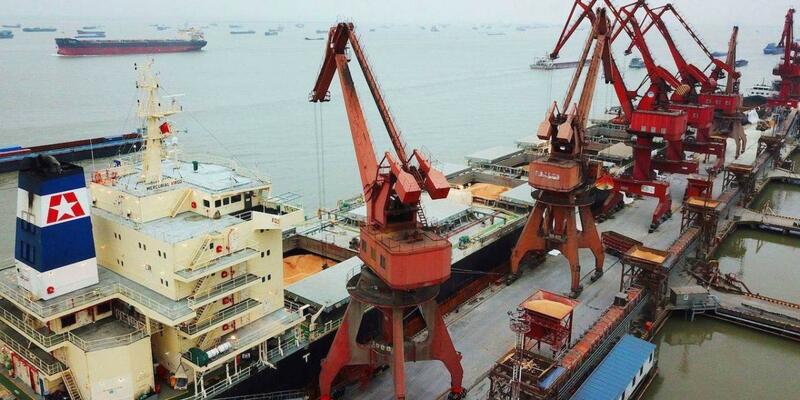 After firing an opening salvo of steep tariffs on steel and aluminum, the US administration has released a plan for a 25% tariff on 1,333 Chinese imports – worth about $50 billion last year – to punish China for what it views as decades of intellectual property theft. China has fired back with a plan to slap 25% levies on a range of US goods, also worth about $50 billion. In response to what he labels “unfair retaliation,” US President Donald Trump is now said to be considering yet another set of tariffs, covering another $100 billion worth of imports from China. Economists and market analysts are scrambling to figure out what will come next. One might be tempted to rely on historical experience. But, given today’s economic, political, and social conditions, history is likely to be a poor guide. More useful insights come from game theory, which can help us to determine whether this exchange of tariffs will ultimately amount to strategic posturing that leads to a more “cooperative game” (freer and fairer trade), or develop into a wider “non-cooperative game” (an outright trade war). The answer will have significant consequences for the economic and policy outlook, and markets prospects. The rapid expansion of trade in recent decades has given rise to a web of cross-border inter-dependencies in production and consumption. Supply chains now can have as many significant international links as domestic ones, and a substantial share of internal demand is being met by products partly or wholly produced abroad. As technological innovation further reduces entry barriers for both producers and consumers, the proliferation of these linkages becomes even easier, amplifying what already is essentially a spaghetti bowl of cross-border relationships and dependencies. For the longer-term health of both individual participants and the overall system, these relationships must function effectively, based on a cooperative approach that is deemed credible. If not, they risk resulting in a lower level of growth and welfare. This is why the current confrontation between the US and China has raised fears of serious damage, particularly if it leads to ever-greater protectionism and a wider “trade war.” But this outcome is not guaranteed. For international economic interactions to work well, they must also be viewed as fair. That is currently not the case among many segments of the global population. As it turns out, two key assumptions on which the virtually unfettered pursuit of economic (and financial) globalization has been based in recent decades have turned out to be over-simplifications. The first assumption was that the benefits of trade would naturally be shared by most of the population, either directly or because of appropriate redistribution policies implemented in the now-faster growing economies. Second, it was assumed that the major participants in global trade – including the emerging economies that joined this process and, later, its anchoring institutions, such as the World Trade Organization – would eventually embrace the basic principles of reciprocity, continuing gradually to reduce both tariff and non-tariff barriers. As these assumptions have proved to be excessively optimistic, the standing and sustainability of pro-trade policies have suffered. The result has been a marked rise in nationalist populism – a trend that has led to new trade restrictions, the ongoing re-negotiation of existing arrangements (such as the North American Free Trade Agreement), and a backlash against supranational institutions (such as the United Kingdom’s vote to exit the European Union). So what about the next steps? As currently set up, the international economic order needs to function as a cooperative game, in which each participant commits to free and fair trade; the commitments are credible and verifiable; mechanisms are in place to facilitate and monitor collaboration; and cheaters face effective penalties. Current trade tensions could conceivably destroy this cooperative game, triggering a shift to a non-cooperative one, with elements of a “prisoner’s dilemma,” in which self-interested action turns out to be both individually and mutually destructive. But, given that this would mean losses for virtually all countries, it may be possible to avoid it, with the help of a few targeted policy responses. For starters, systemically important but not sufficiently open countries – beginning with China – should liberalize their economies more rapidly (particularly by reducing non-tariff barriers) and adhere to internationally accepted norms on intellectual property. Moreover, existing trade arrangements should be modernized as needed, so that they better reflect current and future realities, while companies and others that benefit disproportionately from trade should intensify their pursuit of socially responsible activities. Multilateral surveillance and reconciliation mechanisms – not just at the WTO, but also at the International Monetary Fund and the World Bank – should be revamped, and the functioning of the G-20 should be improved, including through the establishment of a small secretariat that facilitates greater policy continuity from year to year. Given how many countries have an interest in maintaining a cooperative game, such policy actions are not just desirable; they may be feasible. As they help to create a stronger cooperative foundation for fairer trade, these measures would also constitute a necessary (though not sufficient) step toward countering the alienation and marginalization of certain segments of the population in both advanced and emerging economies.